n this photo taken Tuesday, Oct. 11, 2016 North Carolina Republican Gov. Pat McCrory applauds during a debate with Democratic challenger Attorney General Roy Cooper, not shown, in a live televised debate in Research Triangle Park, N.C. In an interview this week with The Associated Press, the Republican ex-governor hasn't closed the door to considering another bid for the state's chief executive in 2020. Any decision would come after the 2018 elections, McCrory said. "I'll consider it down the road," he said by phone. "I think it's way too early for anybody to make that decision." 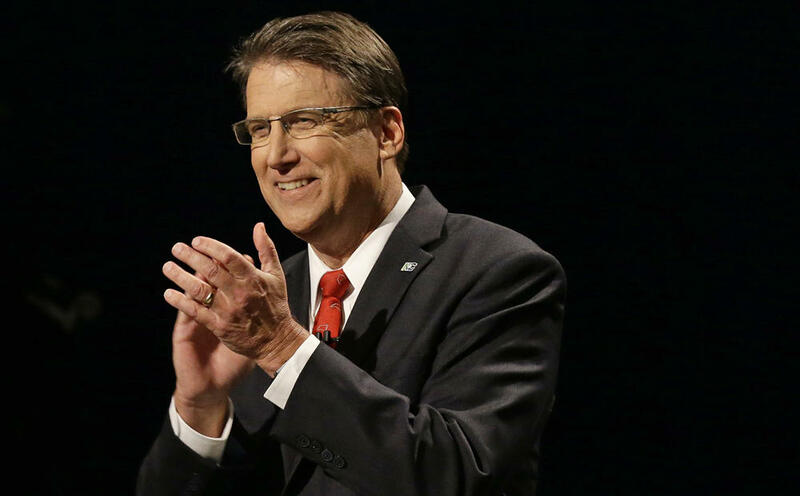 McCrory, who turns 61 next month, started a morning segment on Charlotte's WBT radio last week. McCrory says he has a contract with the station and will appear most weekdays. He used to have a Sunday show on the station for a little while when he was Charlotte mayor. He has run in the past three gubernatorial elections — losing to Democrats Beverly Perdue in 2008 and Roy Cooper in 2016 and defeating Walter Dalton in 2012. Cooper beat McCrory by barely 10,000 votes from more than 4.7 million ballots cast. Lt. Gov. Dan Forest is likely to be among the Republicans seeking to challenge Cooper. Issues that may have contributed to McCrory's defeat include House Bill 2, the law he signed that canceled Charlotte's expanded nondiscrimination ordinance for LGBT people and required transgender people to use public bathrooms aligned with the gender on their birth certificate. 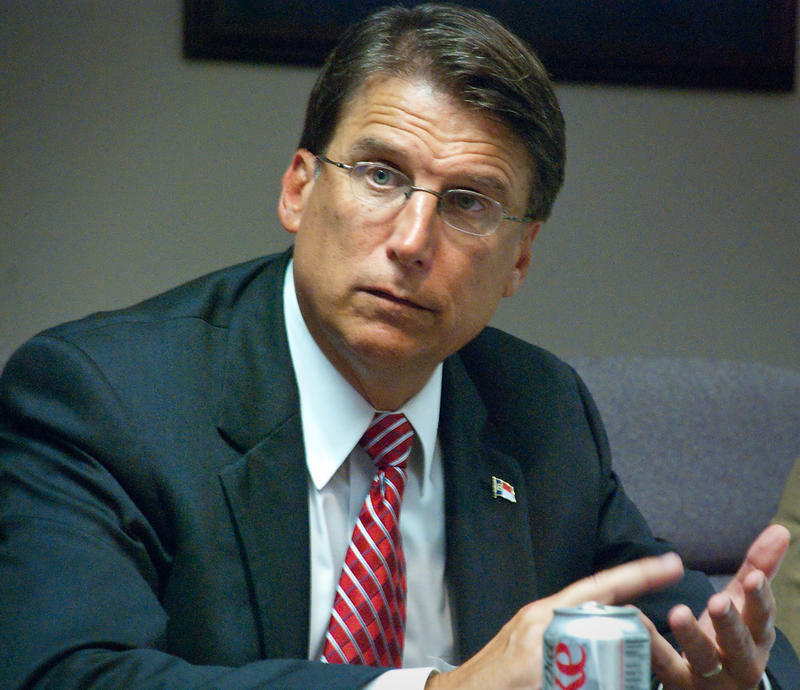 Cooper and gay rights groups blasted McCrory over the law, which got him unwanted national attention. It was partially repealed in March. HB2 and Charlotte politics have been among the topics McCrory has discussed on his show. McCrory bills his appearances as "almost a behind-the-curtain look about what is happening in politics and government and business based on my experience." He was on NBC's "Meet the Press" earlier this year as a panelist. The radio also gives the ex-governor a platform for which to critique Cooper. Citing a 2016 campaign issue, McCrory blamed Cooper on the air Thursday for failing to raise objections while attorney general to a state contract for a private company to build toll lanes on Interstate 77. McCrory's Department of Transportation ultimately signed the contract. Cooper said last year he wouldn't have signed it to begin with, and his office's job was only to review whether the contract was legal. McCrory, once mentioned as a possible appointee in President Donald Trump's administration, is keeping quiet about exactly what else he's doing now. "I'm working on several different endeavors and with several different clients," McCrory told the AP, declining to provide details to shield them from publicity. McCrory, a former Duke Energy Corp. manager, previously worked in his brother's consulting business after the 2008 election and later with a Charlotte lobbying and law firm. He's also served on corporate boards. He and wife, Ann, purchased a lakeside home in McDowell County last month but plan to keep a residence in Charlotte, where he retains his voter registration. McCrory said he enjoyed being governor and misses the people who worked with him in Raleigh to create what he calls "a very ethical government and a very productive government." "I'm proud of what we accomplished and the shape that we left it," he said.